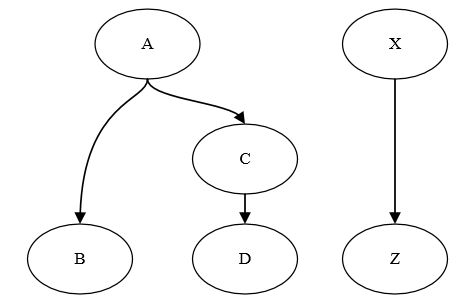 How do I place nodes on the same level in DOT? I want to render several trees simultaneously and place all root nodes and all leaf nodes on the same level. Here's an example of what I'm trying to do. 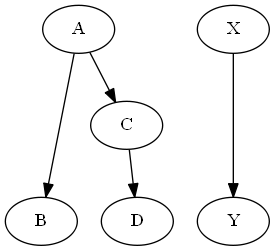 Root nodes A and X are on the same level, and so are leaf nodes B, D, and Z. And got this outcome where everything is on the same rank. Any suggestions about what I should be trying? I've already got roots and leaves identified.